The world tends to associate podcast hosts with incredible speaking skills. They’re charming and confident, they have beautiful speaking voices and they ask thought-provoking questions that get their guests to open up and provide wonderful content. But can they write well? And should they? 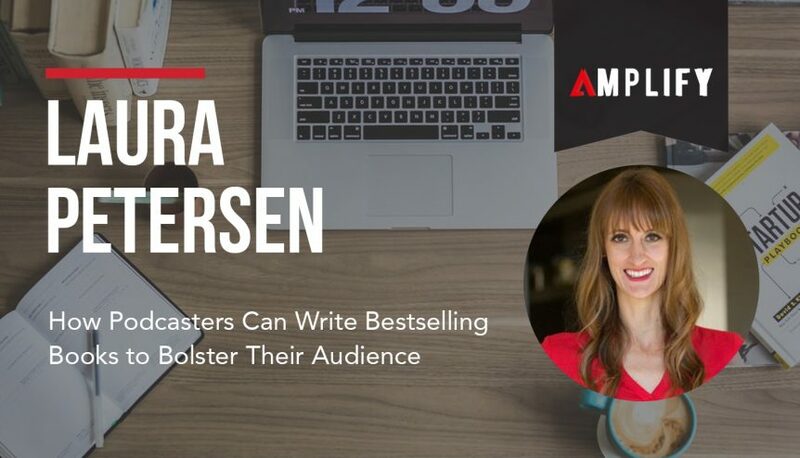 Laura Petersen, a successful podcast host, bestselling author and writing coach, says that podcasters need to master the written word just as much as the spoken word. By crafting an authoritative book — or doing some guest posts for high-profile publications, or managing a blog — podcast hosts can really get their name out there. On a recent episode of Should I Start a Podcast, Laura shared some insight into how writing a book can do wonders for your personal brand, and how an author can write “copy that pops”. Imagine putting “bestselling author” next to your name. Sounds pretty nice, right? If somebody sees that badge of honor while visiting your website or perusing your LinkedIn, they’re more likely to view you as an expert. You can then use that bestseller status to leverage more speaking gigs, more podcasts interviews and more work opportunities in general. While your first book about marketing funnels isn’t likely to crack the New York Times Best Seller list, there is another medium where you can stand out: Amazon. Achieving bestseller status on Amazon is not as difficult as people think. The website places books into obscure categories, meaning that it doesn’t need to sell a boatload of copies to stand out among its peers. So, while your book might not make any noise in the general “Psychology” genre, it could be making waves in a more narrow market. It’s a common — and paralyzing — fear that most newbie authors have: “Is anybody even going to read my book?” While it’s a valid concern, given that your new piece of work is just going to be one among the millions of books already on the digital marketplace, Laura says it’s the wrong thing to worry about. If nobody were to read your book, it wouldn’t be a waste of time, she says. Taking the time to write a comprehensive tome about your topic of choice is certain to make you that much more confident when speaking about the topic (“the best way to learn is to teach.”) And putting “author” next to your name will do wonders for securing business opportunities. Laura says the most important thing for fledgling writers to do is to forget everything they know. Unless they have years of experience writing a blog or working at a magazine, they’re likely using what they learned in university crafting English 101 papers. This leads to a stiff, academic writing style that puts readers to sleep. Laura’s suggestion is to write how you speak, in a friendly, conversational tone that is easy to digest. Use bullet points, shorter paragraphs and contractions to make your copy readable and relatable, rather than rigid and intimidating. Keep these tips in mind, and your book or blog is sure to help you become a respected voice in your industry.